What are you, little weed? A mini thistle? A ruby tinged pineapple weed? 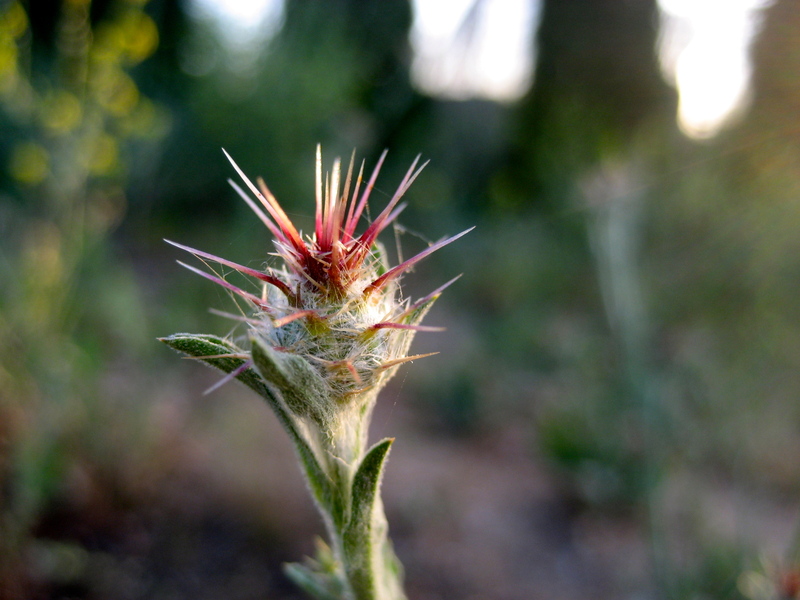 A thimble of thorns? You look like you could be an alien planetary satellite, a radio antenna for undiscovered wavelengths or perhaps an antique brooch from an era that valued abstract designs – and a “hands off” approach to jewelry. I may not be able to identify, classify or recite your lineage, but I do know that you are a mystery to me. My day needed a mystery, so I thank you dear little mystery weed. Previous PostPrevious Tarantula or, Something?